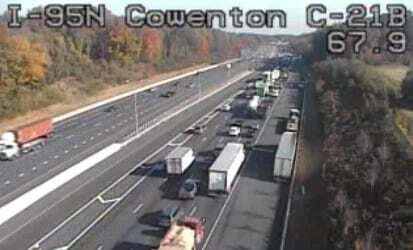 The crash was reported at just before 9:30 a.m. along northbound I-95 between New Forge Road and the Big Gunpowder Falls. Units from White Marsh Volunteer Fire Company are responding to the scene. The two left northbound lanes are closed.